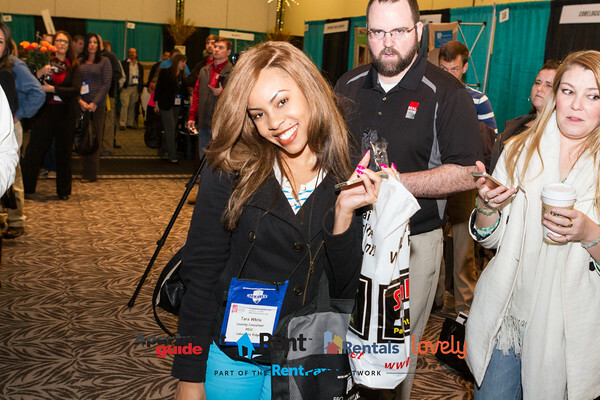 There are so many things that go into planning a really great apartment industry tradeshow and educational expo. 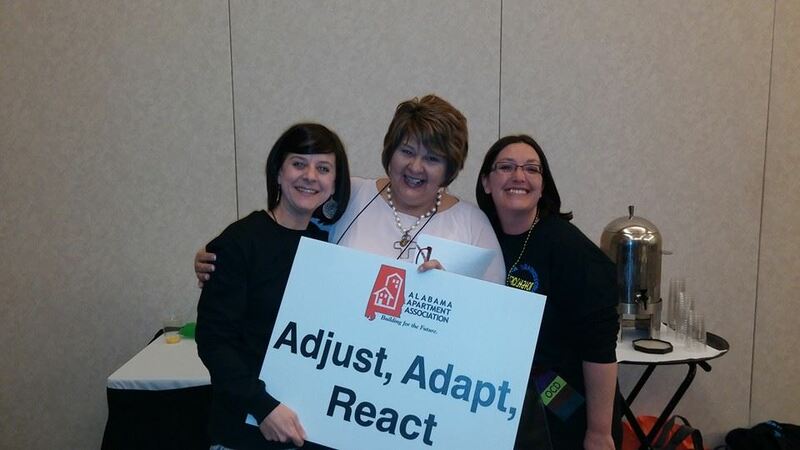 Now, while I am not privy to all of those details, I was able to watch those that worked so hard on the 2015 Alabama Apartment Association Education & Conference on Facebook dedicate their time, energy and expertise to what I would have to call one of the greatest tradeshows I have had the opportunity of attending. From this point forward I will refer to it as "our tradeshow". 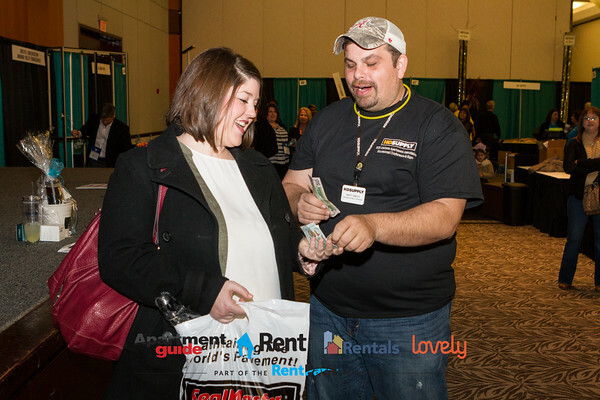 Because although I didn't "get my hands dirty", it is OUR TRADESHOW because a tradeshow and educational expo is meant to build that circle within our industry. This tradeshow accomplished that in more ways than one. Our three day event started with an Alabama State Board Meeting for those of us that sit on the state board. We had an opportunity to get updates on several different areas but most importantly we had a representative of the NAA, Dave Edwards, sitting in on our meeting. This is a notable mention because of my mention of a tradeshow existing to provide that circle in our industry. The National Apartment Association is our advocate on a state as well as a local level. Having all members of our local boards (GBAA, RRAA, AANA, MBAAA) in this meeting, as well as our NAA advocate, shows the levels that we as apartment professionals will go to in order to provide support to one another. Even at a national level. The meeting went well, again with great updates about PAC and upcoming areas to focus on. The update from Keli Lynch-Wright regarding this tradeshow is one I would like to highlight in this write up. 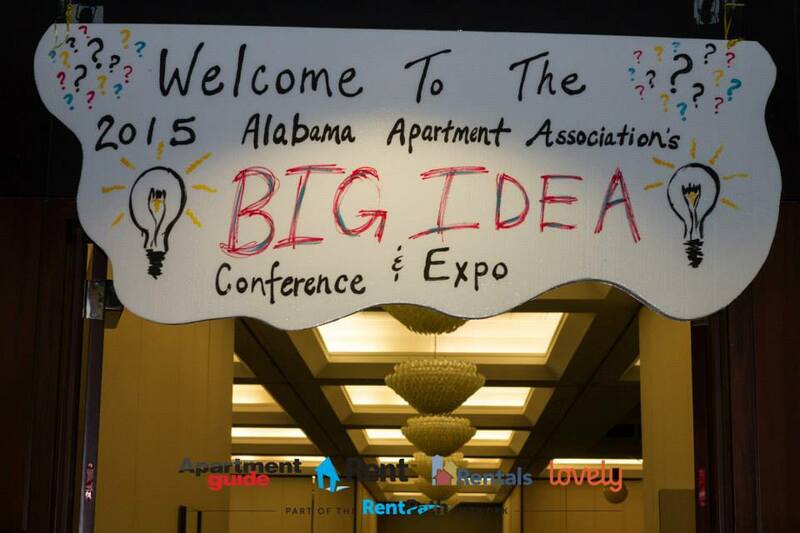 (Specific minutes from the meeting are attainable through the Alabama Apartment Association website.) 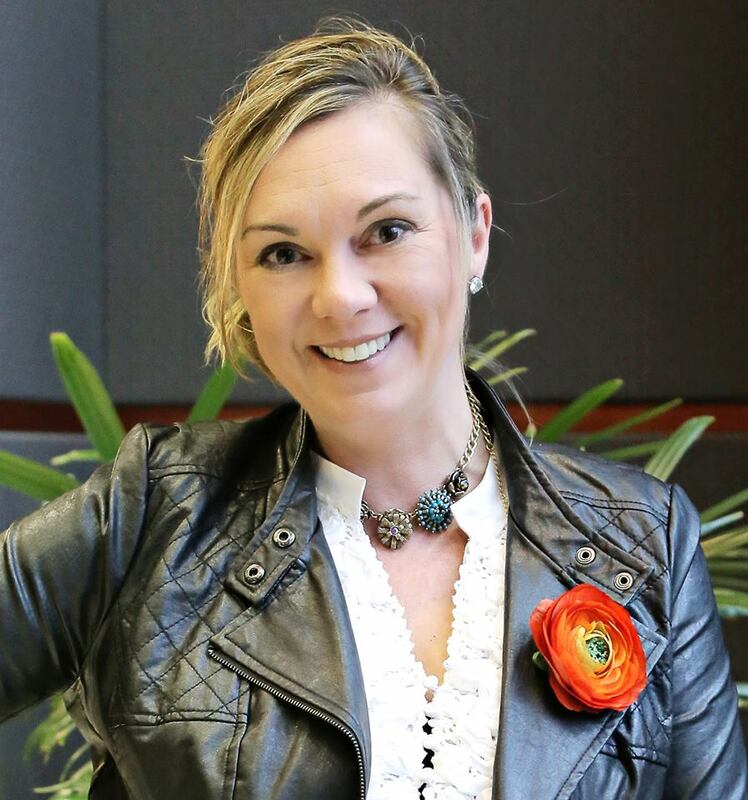 She started with passion, sandwiched with financial numbers and ended with even more passion. Saying, "It takes a village..." It takes a village to work a year on the success of a conference. It takes a village to ensure financially that not only is a budget met, but an income is made. It takes a village to provide education, motivation and passion at a conference. It takes a village to support one another through the planning as well as the conference itself. That village is our industry, the multifamily industry. "This is the industry that we have chosen, and serving our industry on a state level is something to be very proud of!" 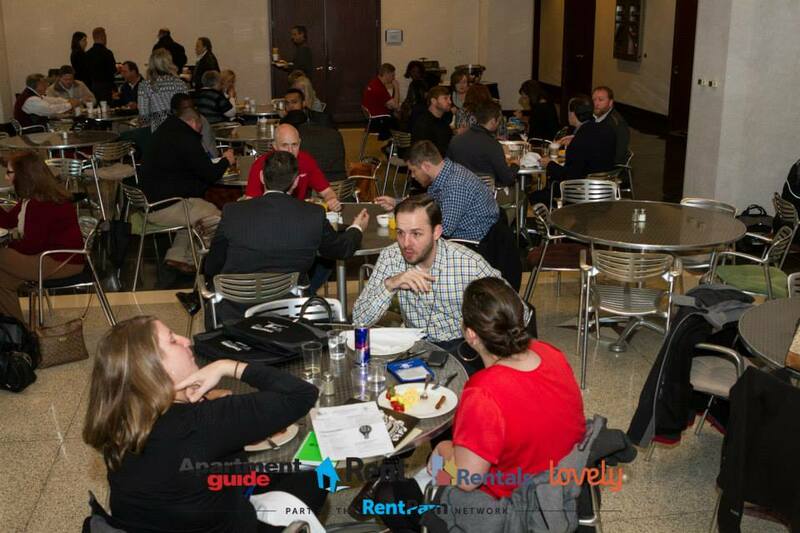 As any event in our industry will provide there was a lot of networking after the board meeting between ourselves and vendors. This is a kickoff for the entire two day event! An opportunity for laid back conversation, an opportunity to introduce yourself to those you are about to embark on a two day journey with! 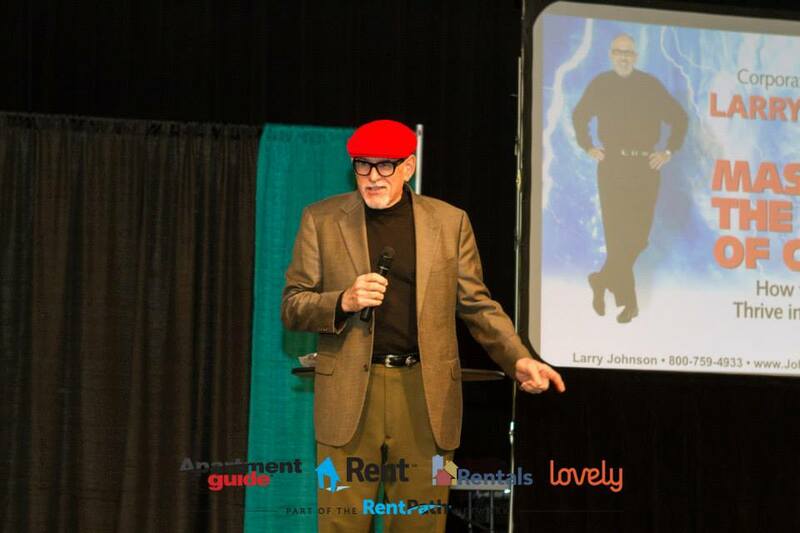 We kicked off Opening Day with a guest speaker, Larry Johnson, whose topic was “change”. 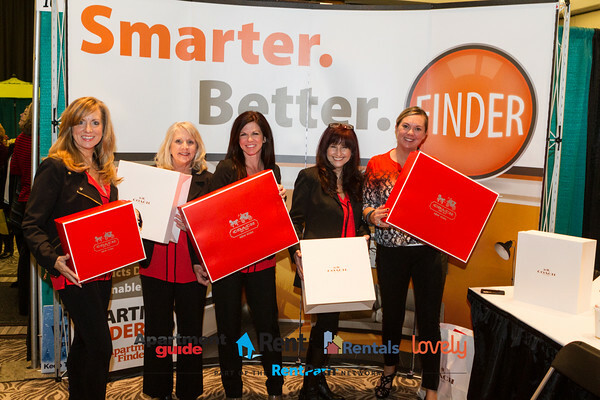 As apartment industry professionals we can all relate to change. Change in laws, change in staff, change in policy and procedure, change, change, and more change. He spoke on not only embracing change but mastering it, specifically “mastering the storm of change”. The topic inspired us all to begin our conference charged with an open mind. Which in my opinion, is one of the best ways to begin an educational conference! 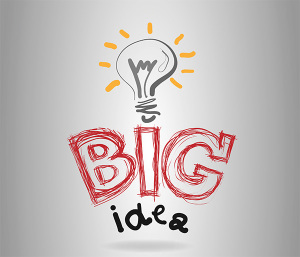 Our tradeshow this year was appropriately called “The Big Idea”. The purpose was to center everything around the newly implemented education portion of Brainstorming Sessions. 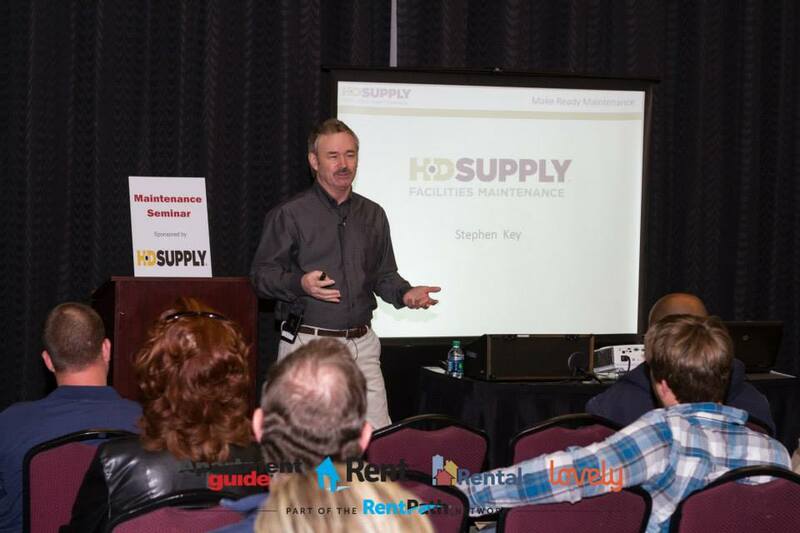 Opening day of our tradeshow also provided more learning opportunities (classroom forums) wherein we were provided opportunities to choose between Creating an Insanely Positive and Productive WorkPlace, Adjust, Adapt & React, Make Ready for Maintenance, Landlord/Tenant Review, and Turning Residents Into Raving Fans. I was pretty blown away at the options of educational classes to take when the original schedule even came out a few months back. 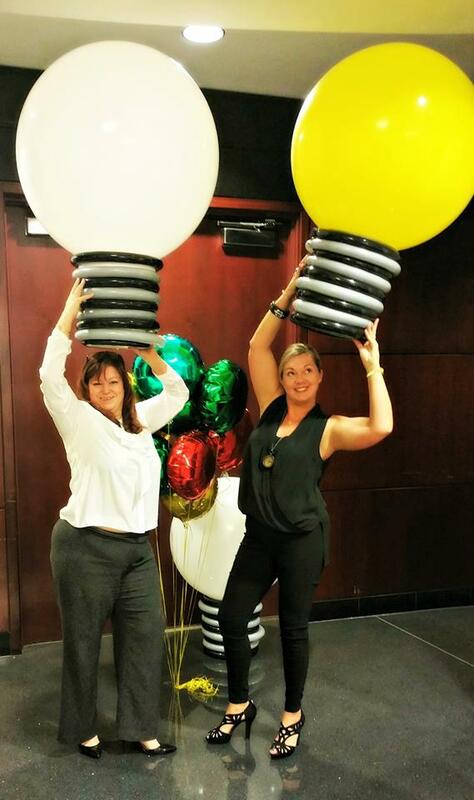 In an industry where education is so important to empowering and motivating us, our conference took that responsibility seriously and BROUGHT IT! In between all the positive motivation, new friends, circle building and education, we were having an opportunity to socialize together eating breakfast, eating lunch and going to dinners. Obviously, we get fed at these things. They provide meals in the ticket prices for obvious reasons. Who doesn’t talk and jab while they eat?!?!?! Right back to building that circle. Now, come on,no tradeshow is complete without a party!! 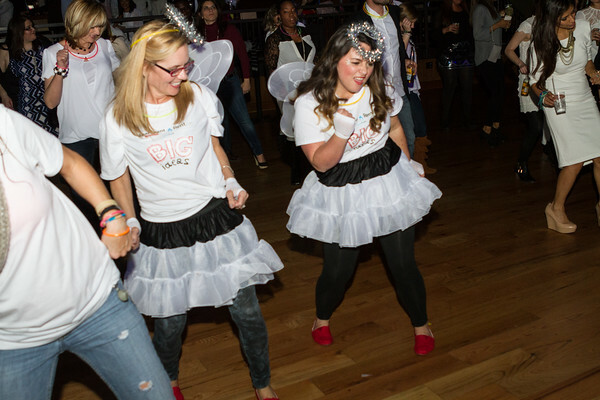 Keli and her team spared nothing in the way of planning the party. And a huge shout out to Matt Smith….WOW! Dude, you blew me away! Impressive. 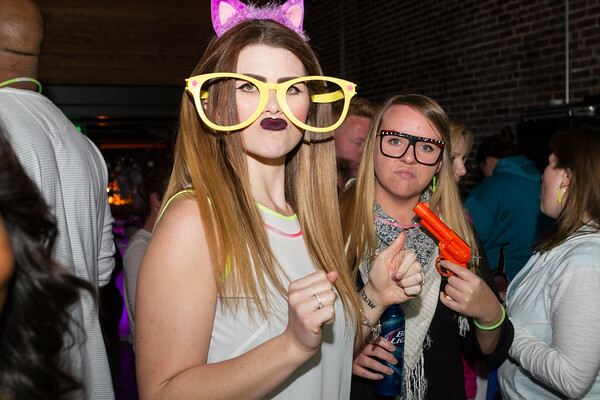 Our party was a GLOW party held at Iron City in Birmingham with Gentleman Zero as the band! It was EPIC! We were able to come together after a day of learning together and party like complete rock stars. Let loose, hang out and have fun in atmosphere of our peers. (And let’s be honest here, we all know that apartment peeps drop it like it’s hot, in the words of Brandy Hitson). 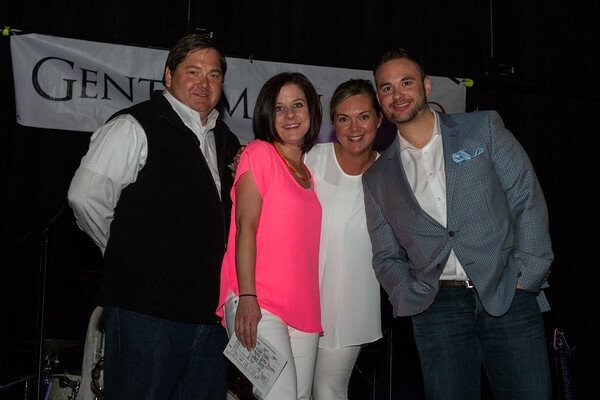 The GLOW party was sponsored by Highline Property Advisors….as was the cash giveaway, which I would like to personally thank them for as the winner of said cash giveaway (pretty awesome considering I never ever win anything!) Stoked would be an understatement. 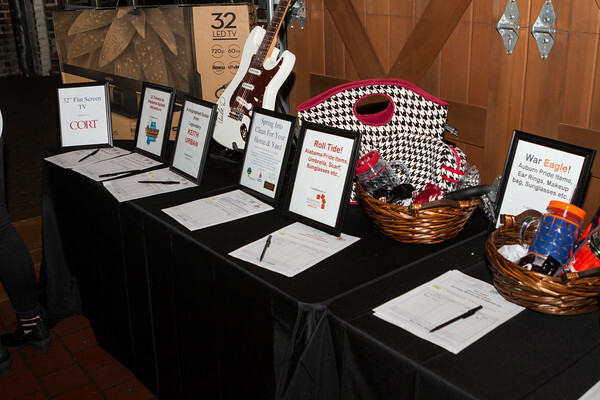 We also had a silent auction benefiting PAC with amazing donations from signed guitars, household items, wine, trips, sports memorabilia and a ton of other items! 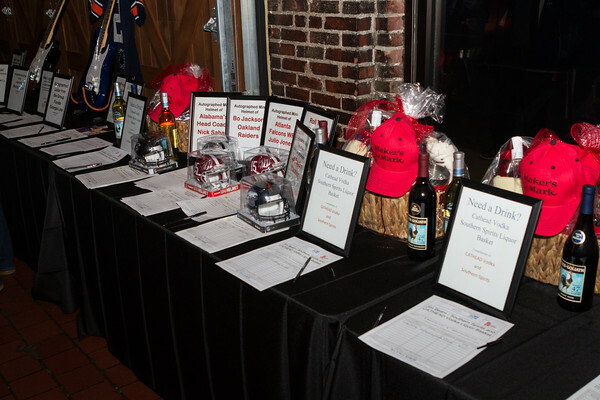 All to donate towards something that I felt myself becoming more passionate about just by listening to Michele Childers talk about PAC in the board meeting! Day two started a bit later (intentionally) due to said GLOW party, but not without excitement. 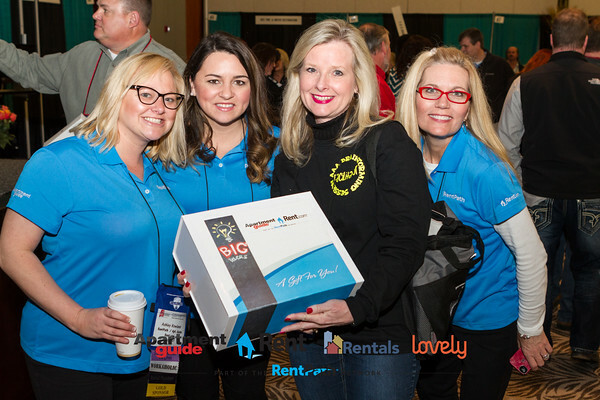 Day two is when the vendors give out their prizes….day two is when the new friends you have made in your now larger circle are close by sharing laughs, sharing ideas and exchanging numbers. Day two is when that motivation and passion is solidified. The purpose is achieved. We were provided so many more classes from Fair Housing to Mold Awareness to Financials & NOI to Technology! There was a plethora of options to choose from. But again, still providing in the morning power hour, the brainstorming session. And I only point this out because again, this was such a huge hit with me personally, just because of the ability to really talk to one another. Even myself, as a scribe, despite the fact I was literally only supposed to take notes, I chimed in here and there. I learned a TON of stuff from other people in my village, in my circle, that do the same thing day in and day out. If you ever went to summer camp as a kid, that’s what leaving our tradeshow was like. You’ve enlarged your circle, or the population of your village, in such a few short days, you’ve gotten great ideas, amazing motivation and have surrounded yourself with those just as excited as you are about what we do!! And then you have to say goodbye. It’s like leaving summer camp! But knowing you’ve just enlarged your circle, means you can pick up the phone and call them. I would like to take a minute here to thank Keli Lynch-Wright and her committee team and volunteers for the laborious amount of time put into this year’s conference. Keli has taken the time to ensure that each person was thanked immensely (individuals, vendors, management companies, etc). However, I personally want to take the time to thank Keli, on behalf of all the attendees, specifically as the Chairman of this committee, for knowing how to do this, and do it well. Not only does it take a village, Keli, it takes a true leader, a true motivator to lead a village to accomplish this. 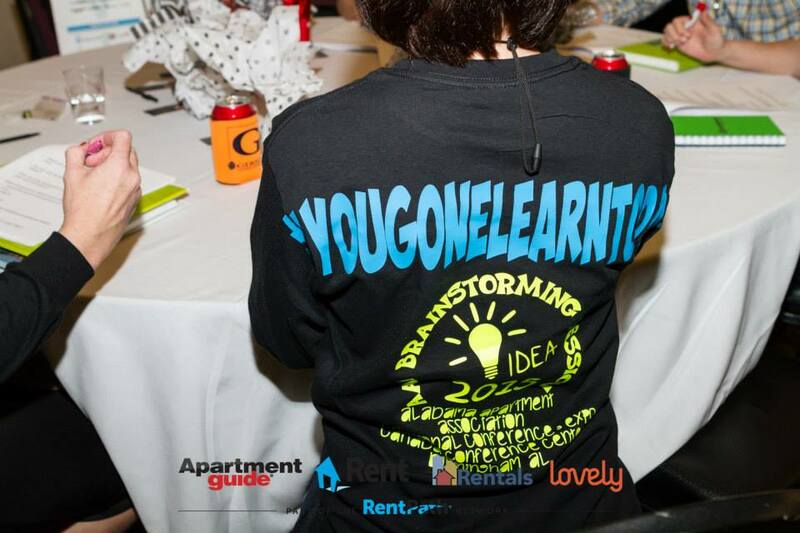 This years conference was by far a true testament to your ability to lead, guide and direct the village to accomplish the 2015 Alabama Apartment Association Education & Conference. THANK YOU from all of us! “THIS IS WHERE YOU CAN FIND PHOTOS OF MY NEW APARTMENT CIRCLE….AND IT’S GINORMOUS” (enjoy!) Thank you Scott McLeod Foto so much for your amazing talent and capturing so many memories for our village!